The University of Florida is preparing for a Sweet 16 matchup with the Wisconsin Badgers later tonight. Regardless if the Gators win or lose, the season is ultimately coming to an end within the next few weeks. For Florida, that means the collegiate careers of seniors Kasey Hill, Canyon Barry, Justin Leon, and Schuyler Rimmer are coming to an end. Of these four seniors, only Kasey Hill has been with the program since the start of his collegiate career. Leon is a junior-college transfer, Barry a graduate-transfer, and Schuyler Rimmer being a walk-on after originally playing at Stanford. Any regular person who sees this list of seniors might think that their careers will end as members of the orange and blue. But the real question is, what do the seniors think about their future careers in basketball? Kasey Hill came to Florida as one of the top high school recruits in the country back in 2013. 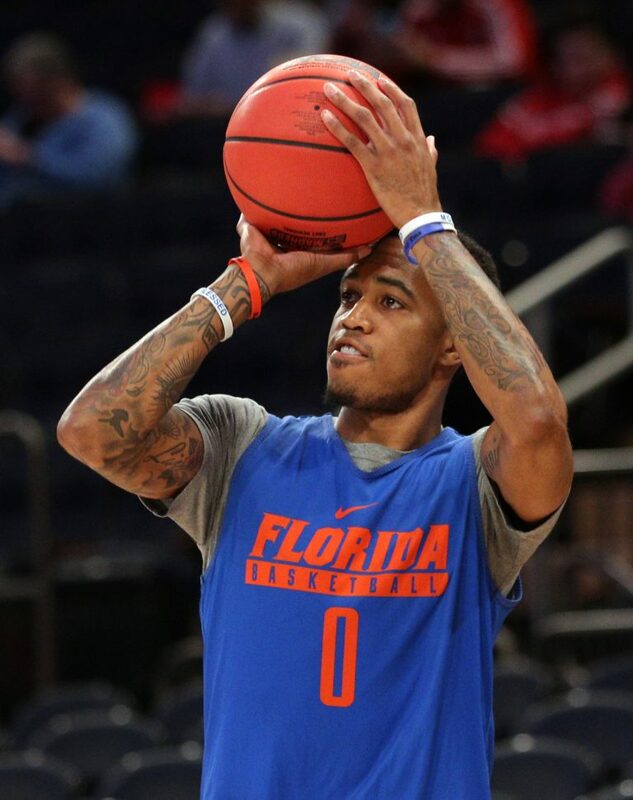 To be more specific, he was given a scouting grade of 93 out of 100, and was rated as the 10th best player in his class according to ESPN Top 100.
some of that may be true, you have to consider he came to Florida to be a backup to Scottie Wilbekin in his freshman season. Not only that, Billy Donovan, Florida’s previous head coach who recruited Hill, took a job coaching the Oklahoma City Thunder. 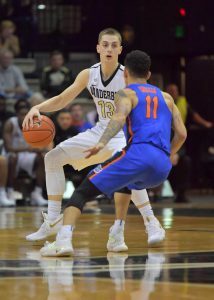 So Hill, the point guard, had to learn an entirely new offensive system under new head coach, Mike White. 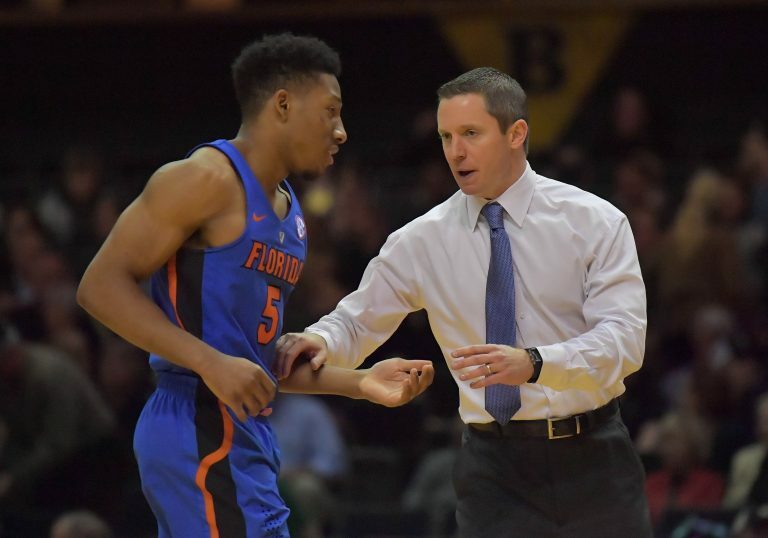 It took Hill, and the rest of the Gator team an entire season to buy into Coach White’s system, but they clearly have with a berth to the Elite 8 on the line tonight. A pass first defensive minded point guard is exactly what every NBA team wants on their roster. Sure, Hill didn’t have the success that most top-ten recruits have at the college level, but he’s certainly turned heads this year. After receiving Second Team All SEC and All Defensive Team, Hill has shown his game has progressed majorly over the last two seasons, and that maybe the NBA is more realistic than people think. 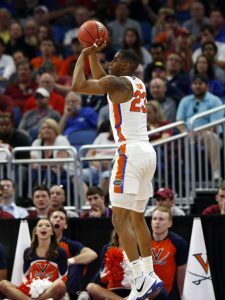 Hill has mentioned that he wants to continue basketball after his time with the Gators, but it will be up to him to prove he is worthy of an NBA Roster. For Canyon Barry, he’s shown the ability to be a knockdown shooter from both the three-point, and free-throw lines. Everyone is familiar with Barry’s unorthodox free-throw shot. If you are one of the very few who are unaware of how Barry shoots his free-throws, here’s a look. And yes, Canyon Barry is the son of NBA Legend, Rick Barry. Much like his father, Barry shoots the ball at a very efficient clip. It took him a few weeks to get used to the Gators system, but he is still averaging close to 35% from downtown, and 88% from the free throw lines. Not only that, but Barry was also named the SEC’s Sixth Man of the year while earning and Academic All America of the Year. These types of numbers and awards can attract any NBA scout, but for Barry, he is only focused on the task at hand. However, Barry is very confident that he continue to play ball at the next level, regardless of where it might be. It’s that kind of mindset that gets college athletes to the next level, no matter the sport. Now if Barry doesn’t make it at the next level, his Nuclear Engineering Degree is sure to land him work somewhere. Leon and Rimmer are the two that seem to fall out of the spotlight when it comes to the Gator Seniors, but that doesn’t mean they haven’t played well. In fact, Leon is often known as the X-factor for this Gator team. Leon has started every game for the Gators this season, shooting about 40% from three and 78% from the free-throw line. He’s clearly had his moments this season as well, matching his career high of 19 points, and scored double digit points in nine games. 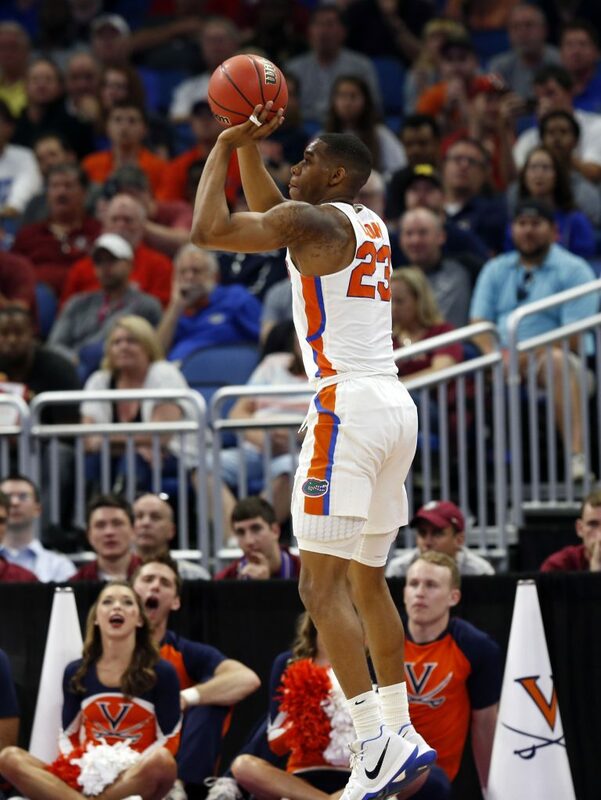 One of those games coming against Virginia in the round of 32, which sparked a huge run for the Gators in their blowout victory over the Cavaliers. And while Rimmer hasn’t had many opportunities as a Gator, he has came in and played well in spurts to give the other big men on the roster some time to cool off. Especially since the loss of John Egbunu, who tore his ACL back in February. Rimmer hasn’t seen more than two minutes of playing time in the first two rounds of the NCAA Tournament, but most of that can be credited to the improved play of freshman big man, Gorjok Gak. It’s hard to say where any of these seniors will end up after their collegiate careers. 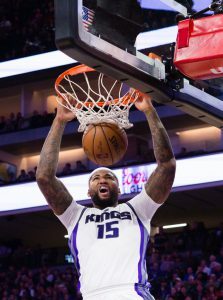 Whether you see some of these guys in the NBA, D-League, overseas, or wherever their careers take them after basketball, it will definitely be worth keeping track of.